Trombonist and composer Willie Colón is one of the greatest bandleaders in the history of salsa music, and one of the keys to his sustained success has been his ability to recognize talent before anyone else. His bands have helped launch the careers of vocalists such as Ruben Blades and Ismael Miranda, but no singer has had as a fruitful relationship with Colón as Hector Lavoe, the troubled subject of the 2006 biopic El Cantante starring Marc Anthony. 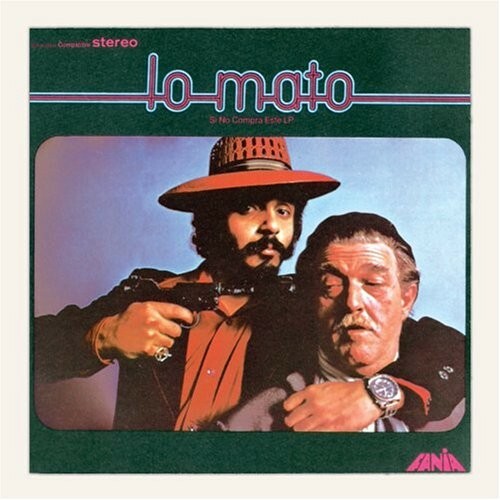 Colón and Lavoe made a bunch of remarkable albums together, and my favorite has to be their last, 1973's Lo Mato (Fania). (Lavoe died in 1993.) The record is packed with fantastic tunes, driven by the leader's fat trombone licks and irresistible polyrhythms, and Lavoe seems to glide over the changes, adding exquisite melodic filigree to every line and demonstrating a singular improvisational imagination. Today's 12 O'Clock Track is the Colón composition "Calle Luna Calle Sol," a relentless jam that I never get tired of. Opening with a throbbing cowbell beat, it's got low-end brass, chattering background vocals, and an indelible melody that make it a stone classic.